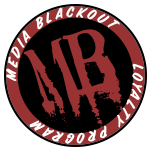 Media Blackout's MultiTap Breakout provides four genuine female Anton/Bauer PowerTap outputs (also called P-Tap or D-Tap) from a standard 2-pin Lemo input jack. The MultiTap housing is 3D printed in-house using our super strong and extremely lightweight carbon fiber-nylon composite material. The housing measures 2.6" x 1.8" x 1" (65mm x 45.5mm x 25mm) and weighs less than 1.6 oz (45 grams), fully assembled. The MultiTap also features a built-in mounting bracket for mounting to 1/4-20 threaded holes. All 3D printed Media Blackout parts carry a 5-year warranty on the printed material. If your 3D printed part warps, cracks, or fails for any reason, we will replace the defective printed part at no cost.